Here at Professional Baseball Instruction, we’ve known for some time just how special Patrick Kivlehan is…that’s one of the reasons we hired him as an instructor during his off-seasons. 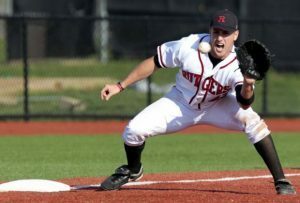 Currently back playing at the AAA level in the Seattle Mariners minor league system, Patrick was just named one of the 50 greatest athletes in the history of Rutgers University by the Star Ledger! And he’s in some VERY elite company including Paul Robeson, Sue Wicks, Carli Lloyd, Phil Sellers, Todd Frazier, Bobby Brownlie, Devin and Jason McCourty, and Jeff Torborg. The Star Ledger set out to narrow 150 years of Scarlet Knights sports history down to just 50 candidates…and Patrick clocked in at #49. We’re proud of you, Patrick! Next stop – the major leagues!